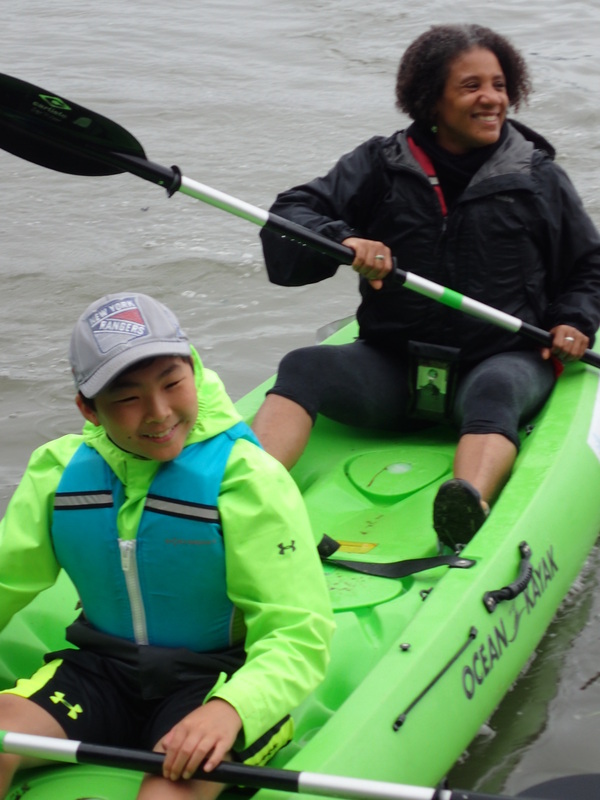 HarborLAB volunteer and educator Kamala Redd takes a new friend afloat. HarborLAB volunteers enjoyed another year of service to Clearwater’s Great Hudson River Revival! 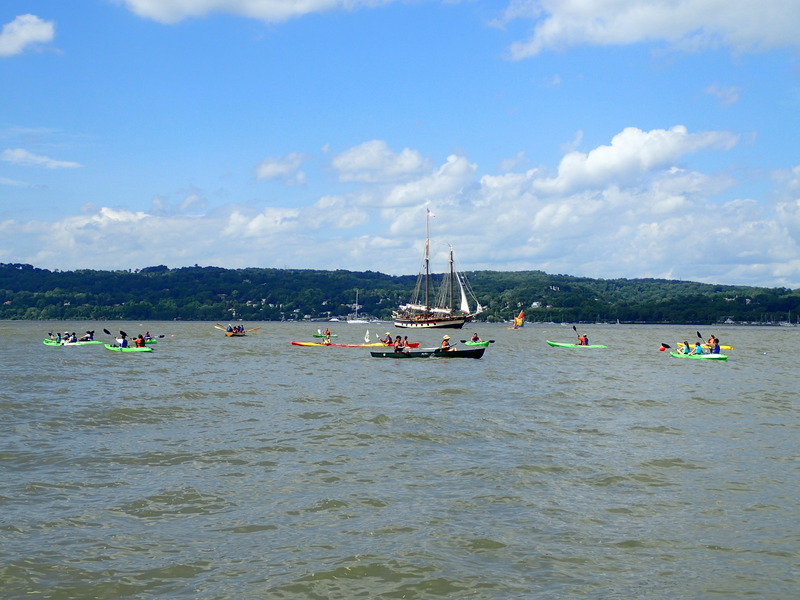 We brought our canoes and kayaks to Croton Point Park to get hundreds of people onto the waterway that beloved and departed Pete and Toshi Seeger worked so hard to restore as a gift to the generations. The Clearwater Sloop organization deserves our full support as the quest to return life to our world’s waters continues in the face of new challenges, like coral bleaching, fertilizer runoff dead zones, and ocean acidification. We debuted our distinctive orange HarborLAB volunteer t-shirts and inaugurated a camping program that will manage overnight stays at the Clearwater Festival, City of Water Day, Neversink Reservoir, and beyond. One key need for this new program is to enable people to enjoy volunteering with our second boat fleet’s upstate drinking water source eco-education program at the Neversink Reservoir, with the NYC Department of Environmental Protection and the Catskill Watershed Corporation. Our camping managers are Jeff Lim and Ray Tan, who cooked up amazing meals (with vegan options) for all volunteers for just a $2 suggested donation per meal! As always, Patricia Menje Erickson did amazing work setting up and transporting materials to the festival, and packing it all away again. Many thanks to her and her crews! We’re also deeply grateful to Stan Dickstein and Eric Russel, who were Clearwater’s Working Waterfront ringmasters, from paperwork to paddling. We also thank Will Solomon of the Clearwater organization for smoothing the way for participation with improved policies and procedures. This was a terrific chance to meet environmental agencies and educators, and potential sponsors, and to draw influential people’s attention to our work on the Newtown Creek. A huge thanks to all volunteers who helped!!! HaborLAB was dwarfed by the tall ships.